Create, study, work and play virtually anywhere. 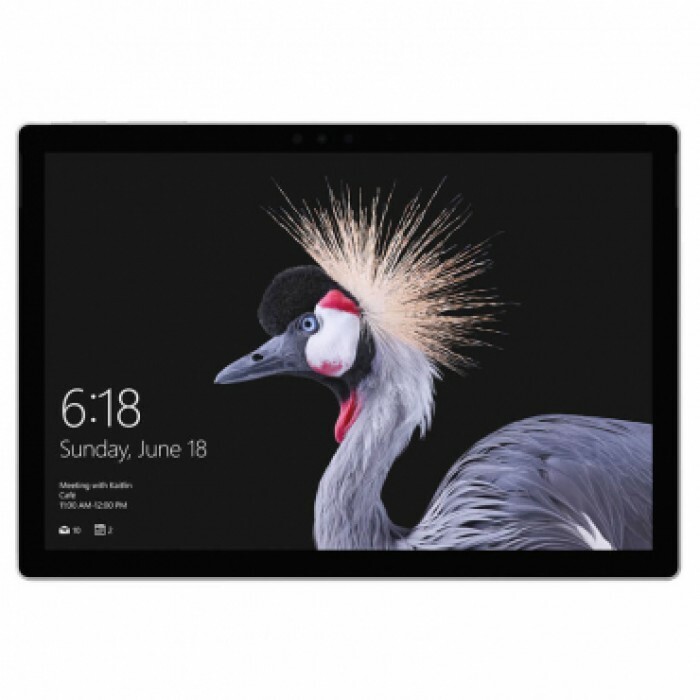 Lighter than ever, Surface Pro gives you total mobile productivity, all day battery life, and a softer, ultra-portable design with rounded edges. Surface Pro delivers even more speed and performance thanks to a powerful Intel Core processor that runs full desktop apps with ease—plus 50% more battery life than Surface Pro 4 and 2.5x more performance than Surface Pro 3. Bring your ideas to life in brilliant colour on the high-resolution PixelSense Display with a stunning screen that responds to your touch. Surface Pro works perfectly with Surface Pen, Surface Dial, and Office, and runs the full Windows experience, including 3D creation tools. Enjoy fast, secured, password-free sign-in with Windows Hello. Personalise Surface Pro and express yourself with next-generation creative tools in a choice of rich colours, including new Surface Arc Mouse, Surface Pro Signature Type Cover, and Surface Pen—with real-time writing and new tilt for artistic shading—plus enjoy on-screen support for Surface Dial.